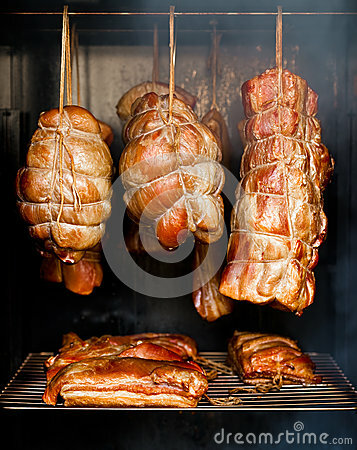 Some meat (ham, pork, bacon) hanging in a smokehouse. Just smoked. Still warm.